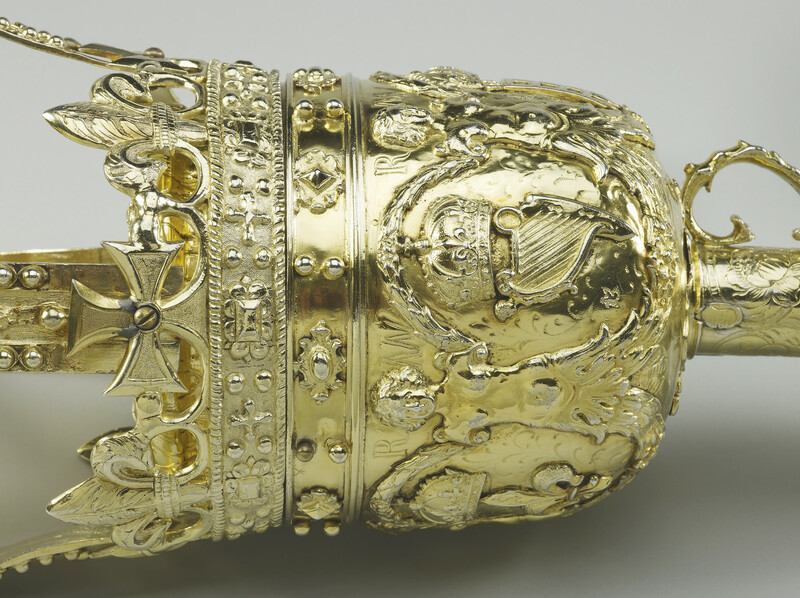 Silver-gilt mace, cast and chased with a crown surmounting a bulbous head chased with scrolling acanthus foliage, and applied with a CR cipher and national emblems (rose, portcullis, thistle, harp and fleur-de-lis) in roundels formed by winged terms and foliage. Below is a plate chased with the coat of arms of Charles II. 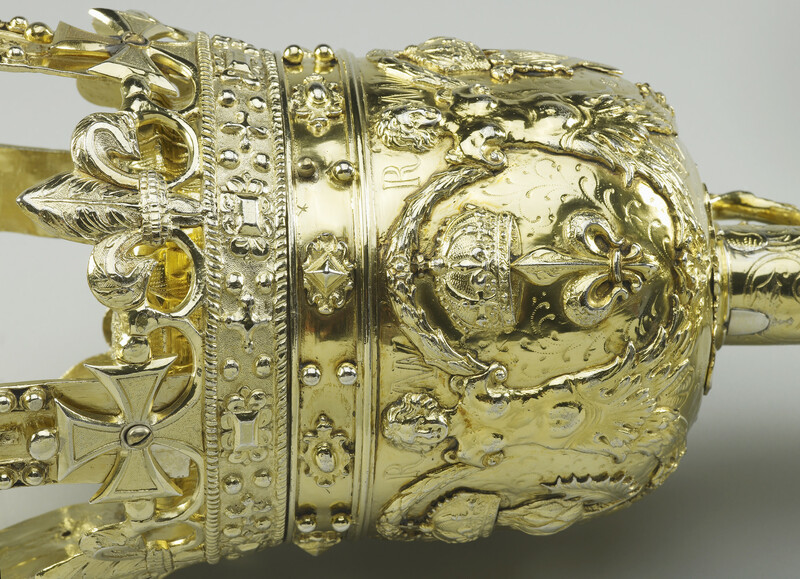 The shaft of the mace, which is oak encased in silver gilt, is chased with scrolling flowers and foliage, and terminates in a vase-shaped lower section with roses and thistles and a ball finial. Ceremonial maces of silver or silver gilt have traditionally been carried by the sovereign's Sergeants-at-Arms or royal bodyguards since the medieval period. The shape ultimately derives from the war-mace or club although it has become increasingly decorative and less functional over time. 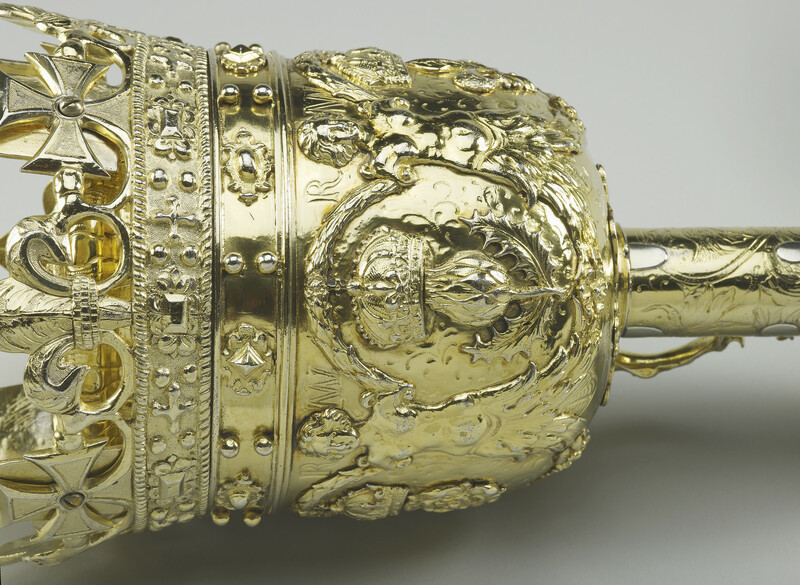 Thirteen new maces, for each of the Sergeants-at-Arms, were created for the coronation of Charles II in 1661, although these have been altered and enhanced in their history. 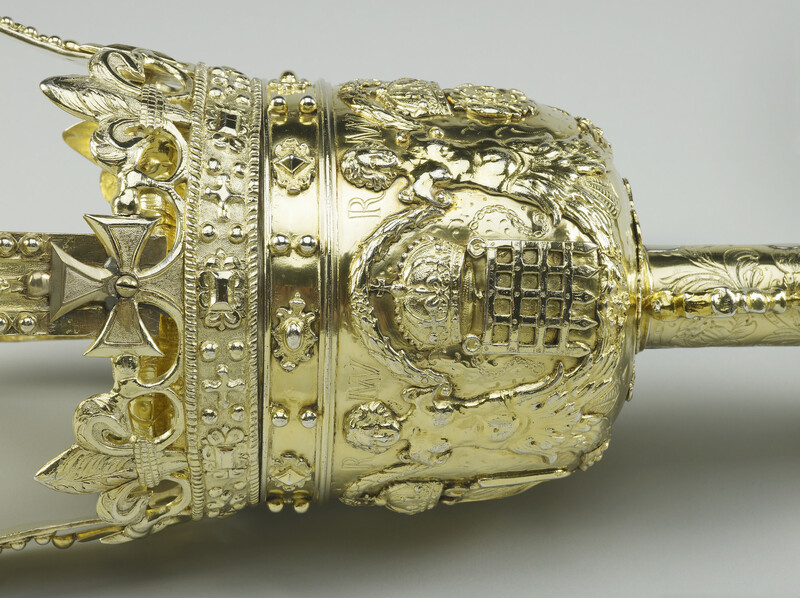 As symbols of royal authority, maces were also created for the Palace of Westminster and are carried before the Speaker into the chambers of both the House of Commons and the House of Lords. 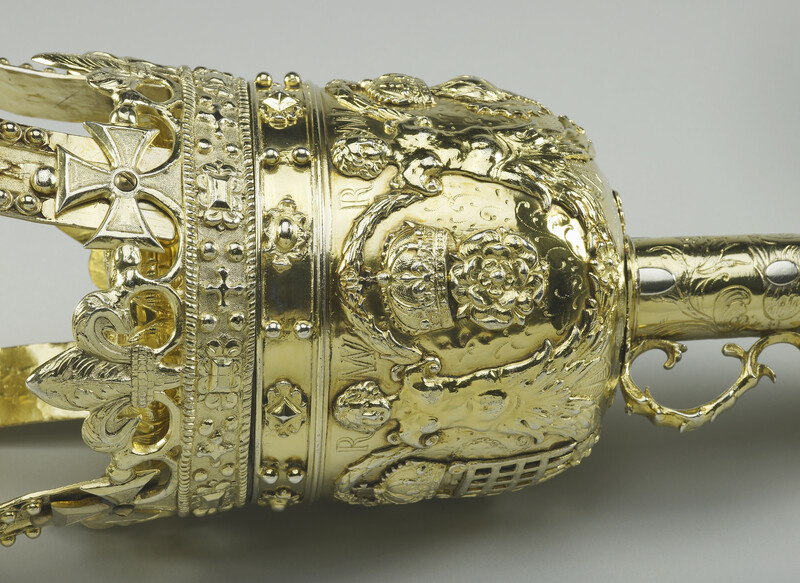 This mace appears to be one created in 1670 for the House of Commons. 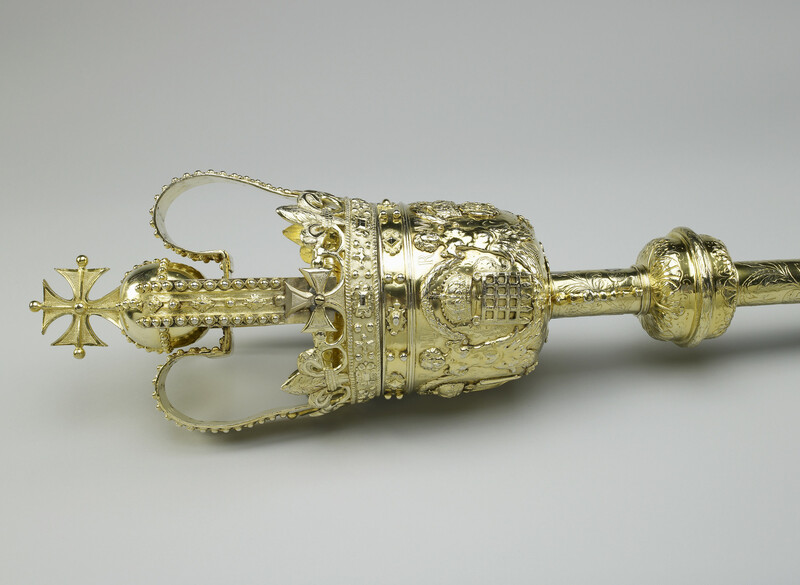 This mace was probably that made for the House of Commons in 1670.